Dina BenDavid, DNP, MS, FNP-C, a year-round islander, has over a decade of experience in healthcare. With both Master’s and Doctoral degrees she maintains board certification in family practice and specializes in aesthetic medicine, primary care, and women’s health. Dr. BenDavid specializes in wellness achieved holistically and has a passion for helping patients achieve their optimum levels of health. This passion fed her desire to add aesthetic medicine to her practice. 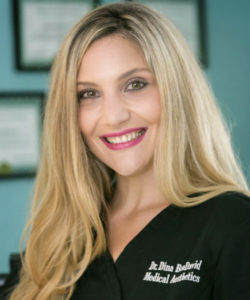 Aside from her work in medical aesthetics, Dr. BenDavid also works at a community health center and serves as an adjunct professor for graduate nursing programs. Dr. BenDavid is certified as an Allergan “Master Facial Injector”, and delivers vaginal rejuvenation with the Viveve Geneveve radio frequency device. Dr. BenDavid is an active member of the American Academy of Medical Esthetic Professionals (AAMEP), and has extensive training in medical aesthetics with distinguished field experts.